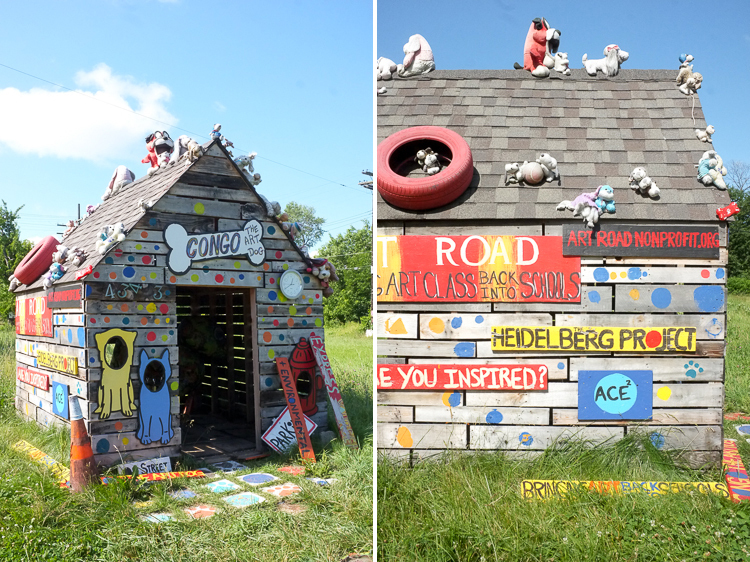 On Sunday, Detroit wrung itself out and started to dry under warm rays of sunlight. I was glad for that, considering that we’d be spending the day outdoors, exploring two of the city’s public art projects. 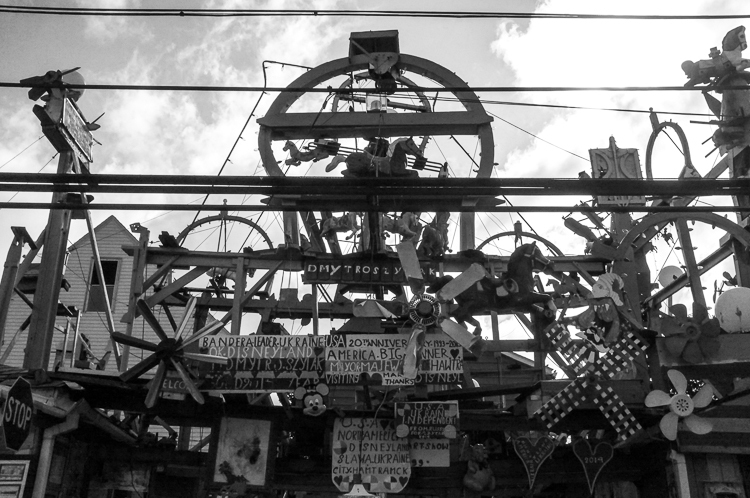 Our first stop was the backyard and garage that Ukrainian immigrant Dmytro Szylak converted into a joyful place called Hamtramck Disneyland. 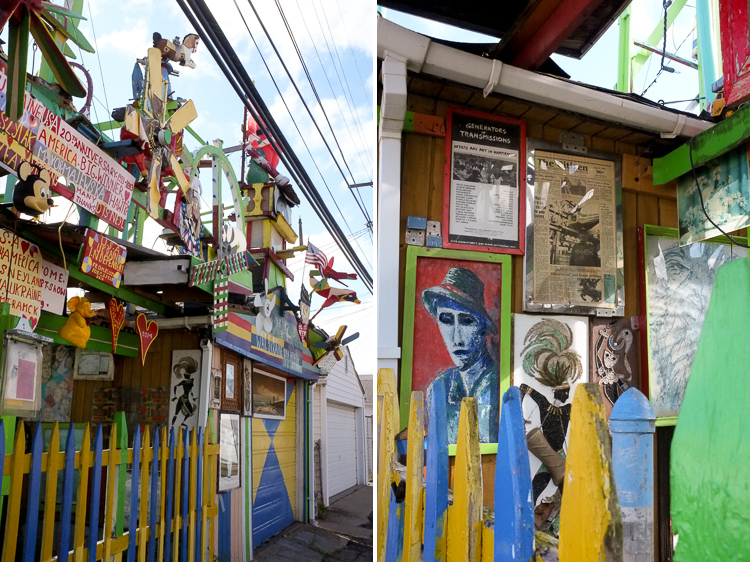 We stood quietly in the alley, soaking in the bright primary colors and whimsical artifacts in the early-morning light. 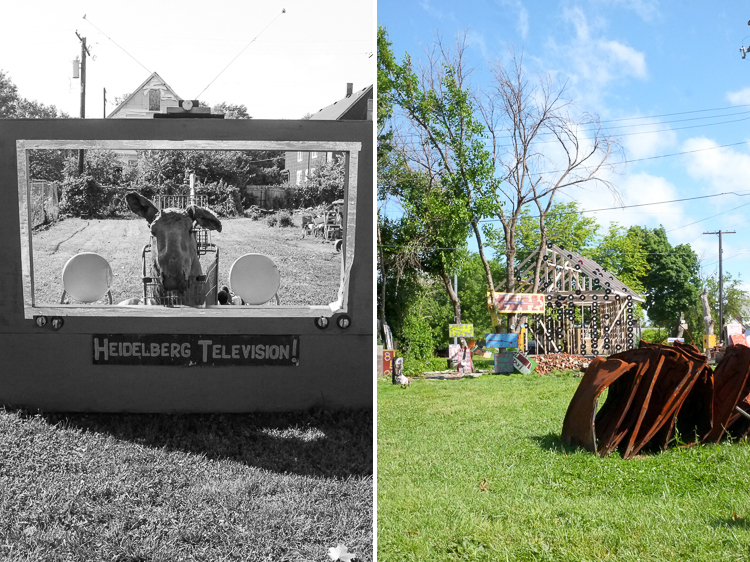 Our second stop was the Heidelberg Project, a blocks-long burst of color and creative energy surrounded by neighborhoods that exist in stark, sobering contrast to the Project. Its mission? 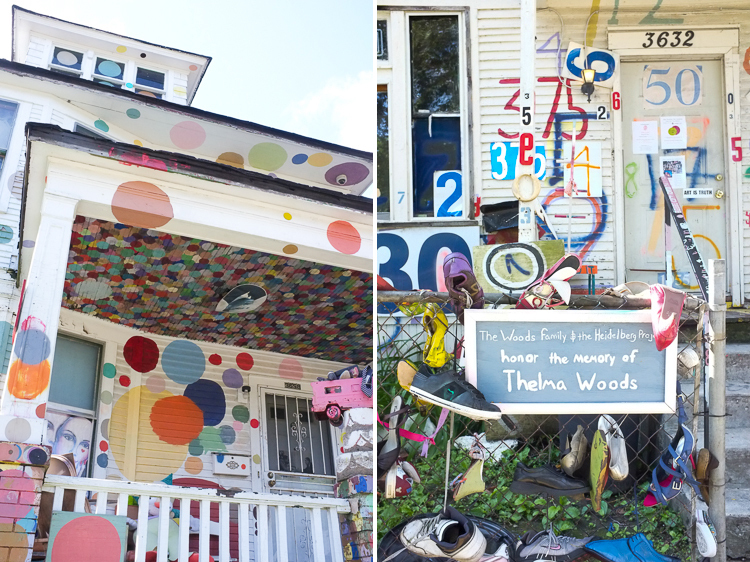 To improve a struggling community through collaborative artwork. 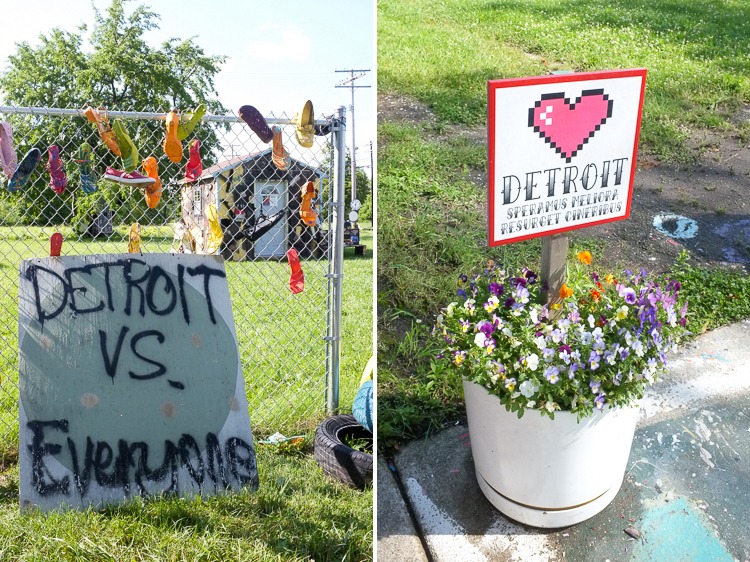 Even before you’ve walked past the placard reading “Detroit vs. Everyone,” it’s clear that the stakes of that mission are incredibly high. But man cannot live on art alone. Over the course of the day, we’d go on to devour radish and cream cheese scones at Sister Pie, pulled pork and brisket sandwiches at Slows Bar BQ, and a healthy sampling of filled Lebanese breads at the New Yasmeen Bakery in Dearborn. If you happen to find yourself in the neighborhood, you’d be well-served to do the same. Thanks for reading! Subscribe for updates delivered straight to your inbox.